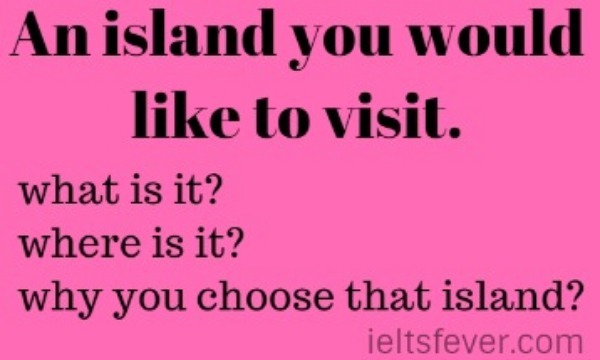 why you choose that island? Being given the means and opportunities to travel has always been one of the things I am most thankful for because I have always loved it. It does not matter where the place is, whether domestic or international, I am always up for going places and learning about the culture of the people and locals there. My dream destination is in South America– the Galapagos Islands. I would like to be able to go to the place where Charles Darwin was able to conceive the theory of evolution and see the wonders that he saw while he was there. Even though the wildlife and the environment were what really drew me to the place, I am still also very interested in the locals and in their way of life. I hope that in the future, conservation is still very much the priority for the islands and not tourism, seeing as the islands already attracted tourists which can only grow in number. Putting this place on my bucket list and checking it off in the future is one of the things I am most looking forward to in this lifetime. Although the islands are located on the Equator, the Humboldt Current brings cold water to them, causing frequent drizzles during most of the year. The weather is periodically influenced by the El Niño events, which occur about every 3–7 years and are characterized by warm sea surface temperatures, a rise in sea level, greater wave action, and a depletion of nutrients in the water. Q-1 describe something about an island? Ans: an island is a place which is surrounded by water from all around. the climate of an island depends upon its geographical position on the earth.there are many islands in India and in many other countries of the world.andeman and Nicobar are famous islands in India and the government of India has given the status of the union territory. Q-2 have you visited an island in your past life? Ans: yes I visited an island in the Philippine country .philippine is a group of a number of small and big islands. these islands are divided from each other with water bodies.there are many famous beaches on the shores of these islands where people from different countries visit there. Q-3 when and why you went there? Ans: actually my brother and his family residing there in the Philippines since 1999. when I completed my graduation I was free for one month before the declaration of the result.so I decided to spend my vacations there. my brother makes all the arrangements and bought an air ticket for me.so I went there and enjoyed a lot. Nowadays, many families have both parents working. Some working parents believe, other family members like grandparents can take care of their children, while others think childcare centers provide the best care. Discuss both views and give your own opinion. Some people think it is important for children to take lessons outside the classroom, for example, by visiting places such as local companies or public buildings. To what extent do you agree or disagree? An island you would like to visit. An island you would like to visit. An island you would like to visit. An island you would like to visit. An island you would like to visit.